Former midfield general Emmanuel Petit has questioned the desire of the current crop at the Emirates – claiming they would rather play well then win games. Arsenal have seen their season slump to familiar scenes in the tail end once again as Arsene Wenger’s side exited the Champions League and the FA Cup in the same week – while they play catch up in the Premier League, 11 points behind leaders Leicester. OK, they’ve a game in hand, but this is Arsenal we’re talking about. 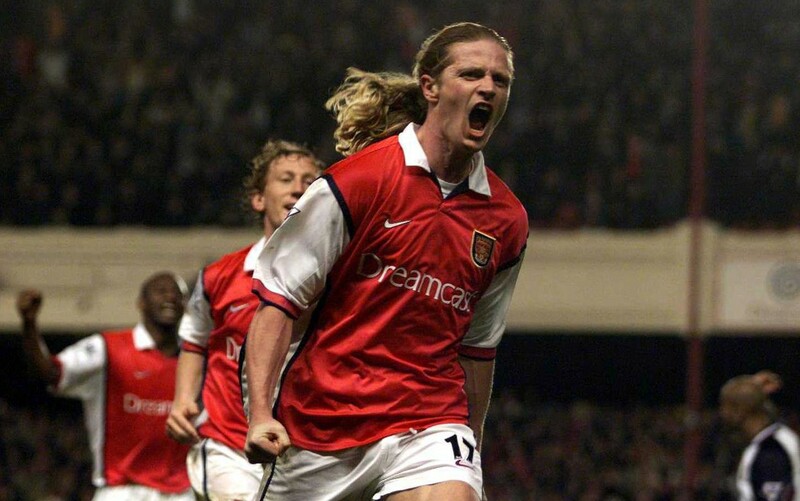 Petit, who had three sparkling years with Arsenal from 1997-2000, was analytical in his diagnosis of the problems facing Arsenal once again. Comparing today’s side to the double winning side of 1998 he was part of, Petit told Irish radio station Newstalk: “Honestly, my answer would be very easy to understand. If you want to win trophies you need to suffer, that means physically and mentally. “There is no easy game in the Premier League, there is no winter break or whatever – we play every single week.” Petit added, “For me, Arsene must understand he won trophies a long time ago. Because in my time we were leaders, we were warriors but we wanted to win. Since retiring in 2005, Petit has been a football analyst in France as well as an ambassador for the homeless World Cup. There has been no further sign of Petit joining French teammate Franck Leboeuf’s acting career. Leboeuf made a memorable cameo in The Theory Of Everything, but that doesn’t live up to Petit’s cameo in The Bill during Arsenal’s triumphant 1998.